It is not easy to keep on blogging while you have a full-time job. I know this first hand and I have been struggling to keep my blogs updated. The ideas are in my head, but putting them into words then hitting the publish button is not as easy as it seems. The good thing is I have found ways to help me be more productive in blogging. These are the ways that I have tried myself and it improved my blog post counts since December last year. You know your schedule better than anyone else. There’s no perfect time for blogging, you can do it in the morning, after the lunch break, or in the evening after coming back from work. 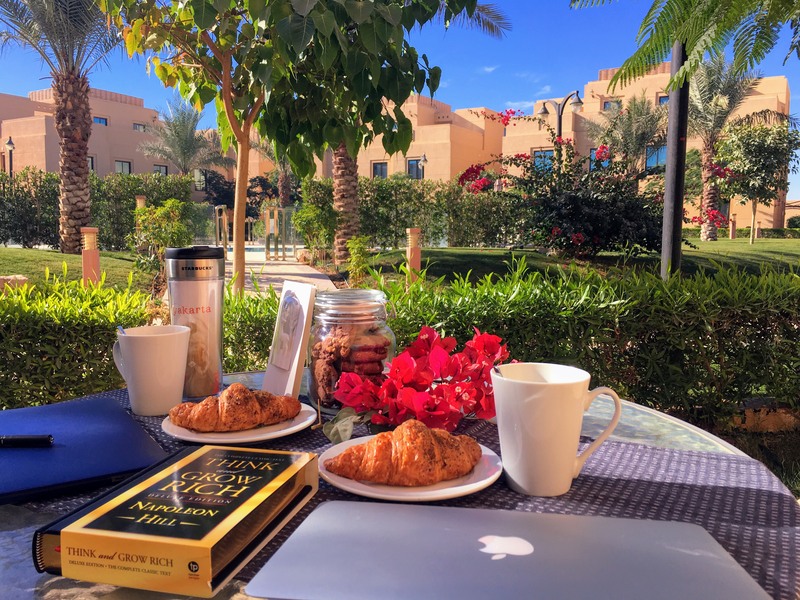 If you have a normal office job, use one of the two weekend days especially for blogging. If you have irregular working hours (or even days) like I do, you must make a blogging calendar and stick to it. It’s not only the days that matter, but the time also. Don’t be vague and just say that you will be blogging by this weekend. You need to be specific. 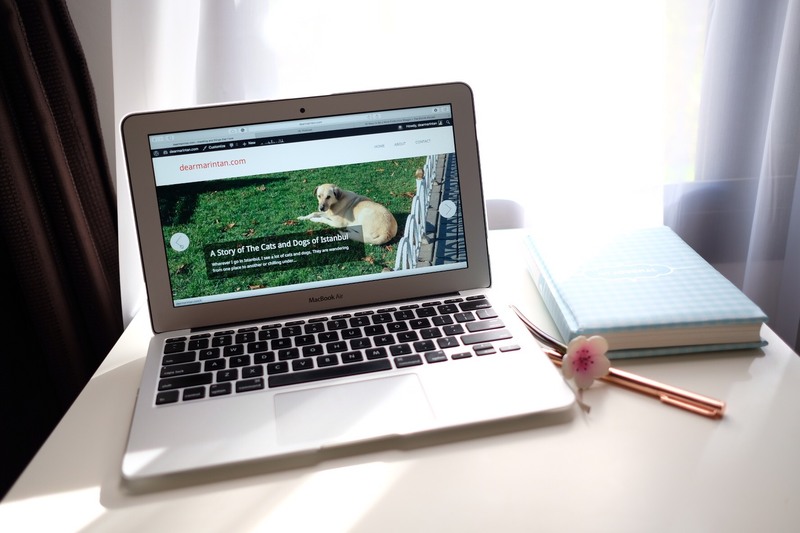 The more specific is your blog calendar is, the more likely you stick to the agenda and actually do blogging. A blog plan consists of what you will do and how you will do it. Think about what you will write next. Write the draft using the 5W + 1H formula (what, who, when, where, why, and how). Make pointers or bullets of ideas if you need to organize the draft. Search for photos in your album or take new ones. If you don’t have proper photos, you can find them on the internet. Make sure you give the credit to the source. Plan where and what time you will share your blog post when it is done. You want to make sure that your new post will be read by as many readers as possible. Other than your personal social media accounts, it will be a good idea to share it on blogger’s facebook groups. You might think that it’s not related to blogging, but the truth is I find it easier to write when my table is actually empty. Nothing else on the desk, except my pen and paper pad containing the blog plan. Avoid eating chips or other snacks, because munching will distract you from writing. If you are hungry, leave your desk for awhile and eat. Come back when you’re done. Make your desk clean from any distraction. Other bloggers find it more relaxing when they turn on the music and burn candles to set the mood. 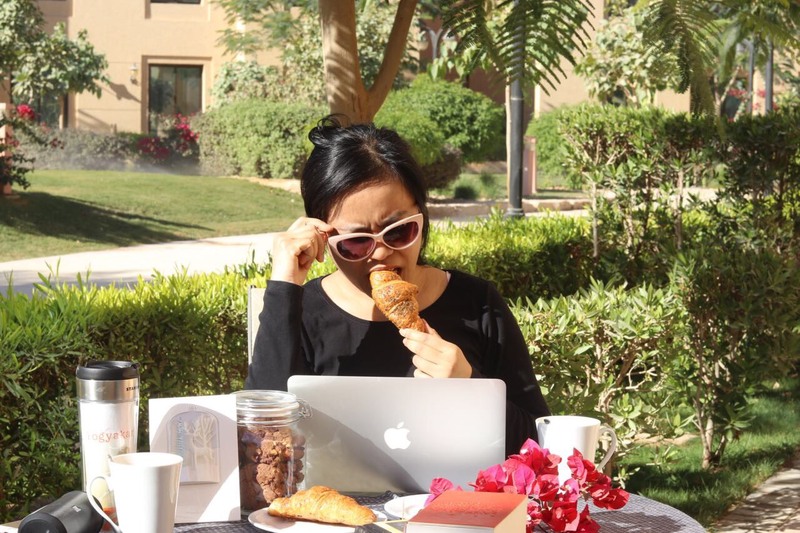 You can also try blogging outdoor. This is much better done in the morning or in the evening so the sunshine won’t hurt your eyes. Checking on messages or likes and comments on your social media will only disturb you. 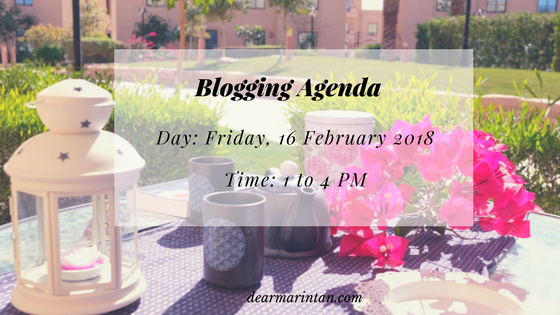 It will also prolong the blogging session that you already planned. 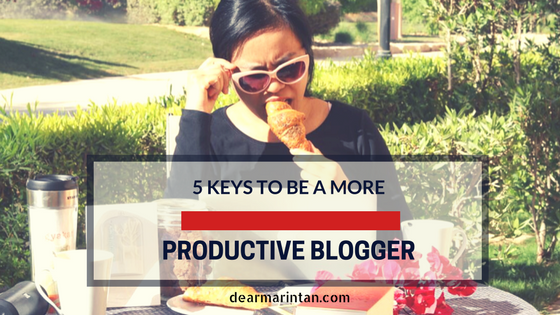 Your goal is to be productive in blogging, not to be distracted by the someone else’s updates. Be disciplined. We do need to check on the internet sometimes to make sure what we are writing is correct. Making sure who said what when putting a quote or two in our post. Writing precisely the location of the restaurant or museum that we are reviewing. But this can always wait until we finish writing the text. Try not to open your browser at all when writing, so you can write faster. But if you really need to browse something, only open the necessary websites and then close it when you’re done. @Winny: wah, aku tadi abis blogwalking ke tempatmu, kamu malah lebih update hehehe 😀 keep on writing, Win!